There are, numerous reasons some trees just have to be removed. Tree removals are complex, and mistakes can be costly. This means going the DIY route is not your best option. 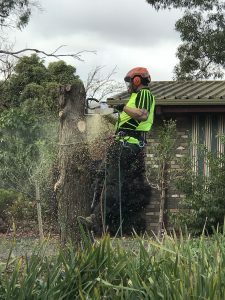 Tiny's Tree Services have a Fully Qualified and professional Arborist, Andrew can work with you to efficiently and safely remove your tree! Still not sure if you need your tree removed or trimmed? We are happy to help! With our FREE Quote you get a Arborists Assessment of your trees and Andrew will help you make an informed decision. Call us today we’ll prove that we certainly do our jobs to the highest standards. Did you know that properly pruned trees actually live longer? Did you know that they also maintain a pleasing appearance when properly pruned? Tree pruning or Trimming helps your landscape flourish because it addresses architectural tree care concerns such as tree appearance, shape, risk and structural integrity. It also encourages air circulation, which “trims down” the possibility of damage from strong winds and extreme weather, as well as the spread of diseases. Tree pruning also removes weak branches that can easily fall in certain weather conditions and allows more sunlight to reach your plants. 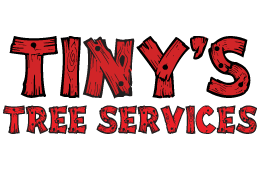 When performed by a qualified arborist, Tiny's Tree Services can specifically enhance the natural beauty of your trees, as well as preserve their strength, seasonal character and stature. Andrew from Tinys Tree services Loves Hedging and he is fantastic at it! Whether you want to tidy up that Hedge or Reduce the height and help it get into great shape, we are the team for the job. Check out our Gallery for recent Hedges we have trimmed for our valued customers. Ready to get that hedge shaped and looking pristine? Contact us today for your Free Quote. Do you have a gardening project that needs quality mulch delivered for you to spread. Tinys Tree Services Deliver top quality mulch to your property. Contact us today to order your mulch now. Stumps are unsightly, they are trip hazards and lets face it Ugly. We have the machine for the job! 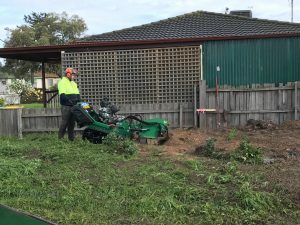 Tinys Tree services Offer Stump grinding either as part of that Complete Tree and Stump Removal you are planning or we can even come in and Grind out those old stumps left in the garden. 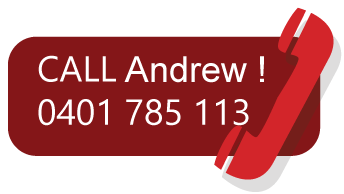 Call Andrew today to get your stumps ground away. After a large storm you can be left with quite a mess. By most accounts, the biggest damage that homeowners must deal with in the aftermath of a storm comes from fallen trees, broken branches laying around the yard and even snapped branches or whole tree getting hung up in the canopy of each other (widow makers) causing a massive risk to life. We are fully equipped to help. Our qualified and professional team will make your safety our priority. Prevention is key! Are your trees growing too close to your service lines? 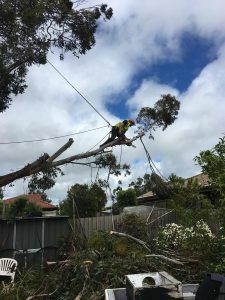 You need Tiny’s Tree Services to come in and prune those trees away from those wires to meet the requirements set out by the power companies. 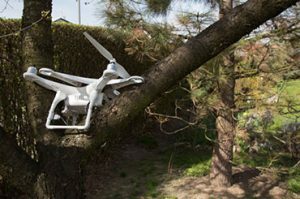 Flying a Drone is so much fun, but it’s no fun when your mad skills crash your drone into the top of a tree.